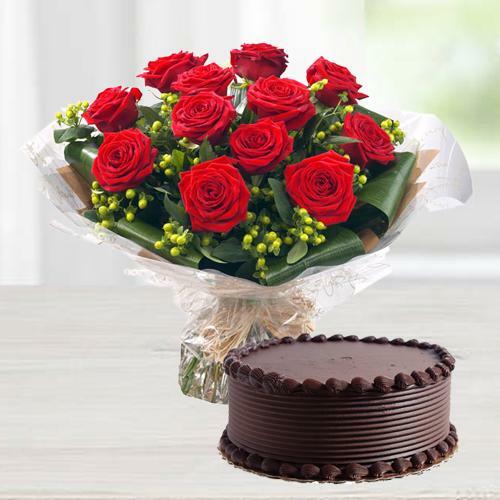 12 Red Roses Bunch with Chocolate Cake 2 Lbs - This combination of 12 Red Roses with the soft mouth watering chocolate cake is sure to make the day memorable for the recipient. Note: We deliver only Freshly Baked Cakes. Bakeries make ready the fresh baked Cake only by 11 AM. Thus all orders of Cake can only be delivered after noon time.